Have you been thinking about buying an Apple iPod Touch 4th Generation? Perhaps your ready to upgrade from an older version of the iPod? Read my review of the iPod 4G and learn why I think it’s a great little device that I use almost every day. It’s very practical, easy to use and has a ton of features and an endless stream of uses. Let’s start with the camera. The camera in the Apple iPod Touch 4th Generation is very decent, much better than a cell phone. I love having a way to take pictures without having to carry around my full size camera. The pictures are very good quality and it works perfectly for taking photos of items or prices in a store so I remember how much something was, or even a snapshot when it’s not practical to bring my regular camera. It has a camera lens on both sides so you can take a picture of yourself while looking at the screen, but it really comes in handy when using FaceTime. It also takes really good HD video. It is a small device so don’t expect the quality you may get from your SLR Digital Camera. The iPod is capable of shooting video in 720p, which is a nice feature and does quite well, I have managed to capture some great video while out and about. One of the cooler features the Apple iPod Touch 4th Generation comes with is FaceTime. FaceTime is an awesome new way to call your friends! You can video chat with people using the camera, built in mic, and speaker as long as you can access wi-fi. You can also use skype with your iPod, if you’re into video chatting and such. The Pandora App is ultimately why I wanted to get an iPod. With the Pandora app I can put it on the dock (sold separately) and relax while listening to music. Also, being able to connect to iTunes makes it possible instantly access virtually every song you could imagine. I love that where ever I can get a Wi-Fi connection I can check my email or go online instantly. The iPod has the Safari browser on it for web browsing, social media or emailing. You can also use the google app for searching on google (I just use the browser). The battery life is very good. It won’t last all day if you’re doing something like web browsing non-stop, or using the screen continuously. But if you’re listening to music and turn the screen off the battery will last quite a long time! So, if you want your battery to last all day, so you can snap some pictures after spending the day in the park, it’s best not to be on YouTube the whole day. Another thing I love about having an iPod touch is that as opposed to a video game console and the cost that comes with buying all the different games, I can download new games anytime, which kids absolutely love. One of top rated games is Angry Birds – I have to admit, you may catch me playing Angry Birds too! Overall I am really happy that I waited for the 4th Generation Apple iPod to come out because it is slimmer than the 3rd Generation and from what I have read it has a lot less bugs that need to be ironed out. I doubt that I even use a quarter of the utilities this iPod has to offer. I’m sure the more I use it, the more I play with it and the more I discover, I’ll like it even more. 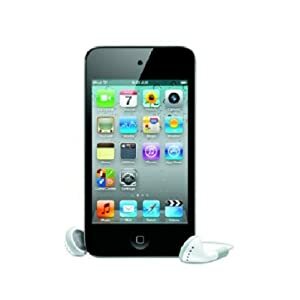 The Apple iPod Touch 4th Generation was definitely a good investment and I would recommend it to all my friends.